Unique stained glass windows, panels and gift items handcrafted by Jackie Harris using traditional methods and quality materials. Jackie Harris works from her studio at home in Malvern, Worcestershire, using traditional techniques and fine quality materials. I designed a website for Jackie way back in 2008 and it was about time for an update to make it compatible with new devices. 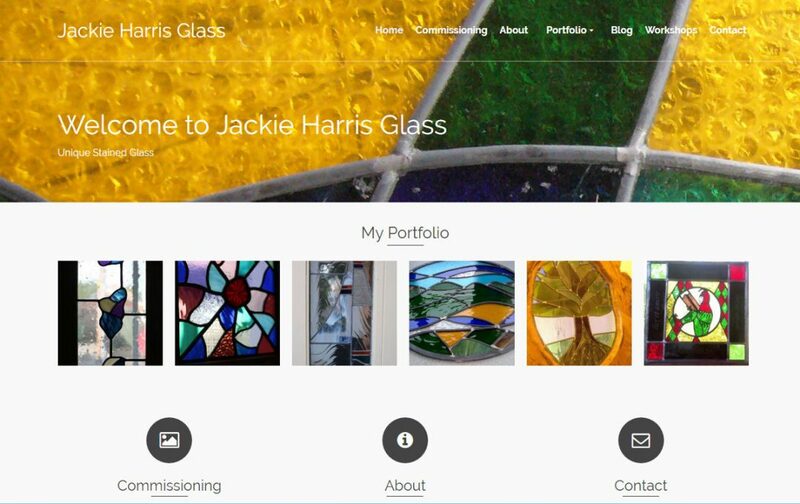 I incorporated a portfolio into the site that allows Jackie to easily add new pieces of work.